Directions: Fill in the boxes below using the digits 1 to 6, at most one time each, to make the largest value for D (the derivative). 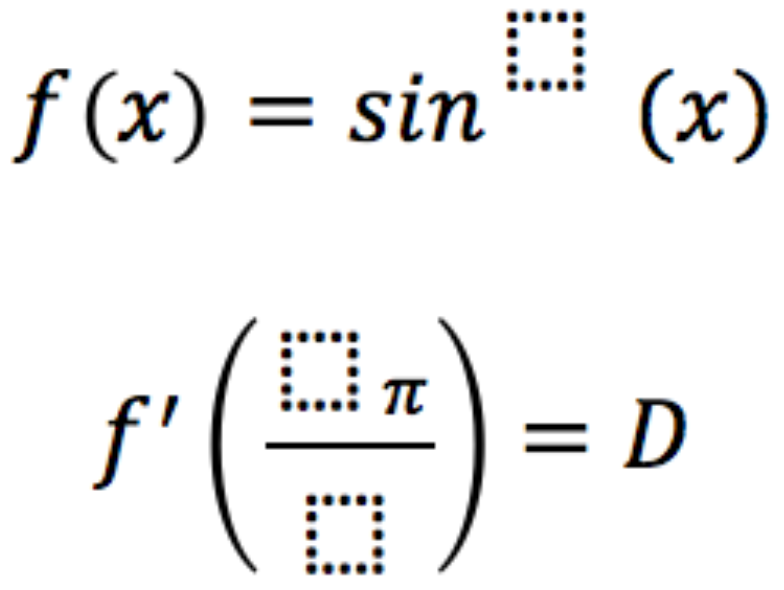 What values give an output of 1 or 1/2 to the derivative of sin(x)? I don’t think your answer is correct. I agree, maximizing cosine will zero the sine function. Mr. H has the correct answer, to the best of my ability to judge.